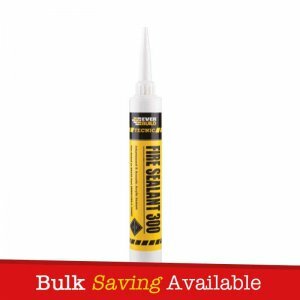 Everbuild AC50 Acoustic Sealant & Adhesive is a high strength, permanently flexible acoustic sealant and adhesive specifically formulated for sealing and bonding plasterboard and other kraft lined insulation boards to common substrates. 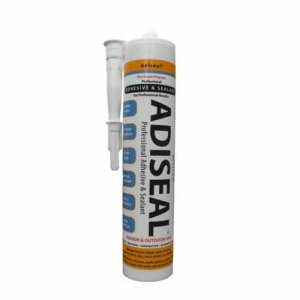 AC50 Acoustic Sealant & Adhesive is mould resistant and non flammable. 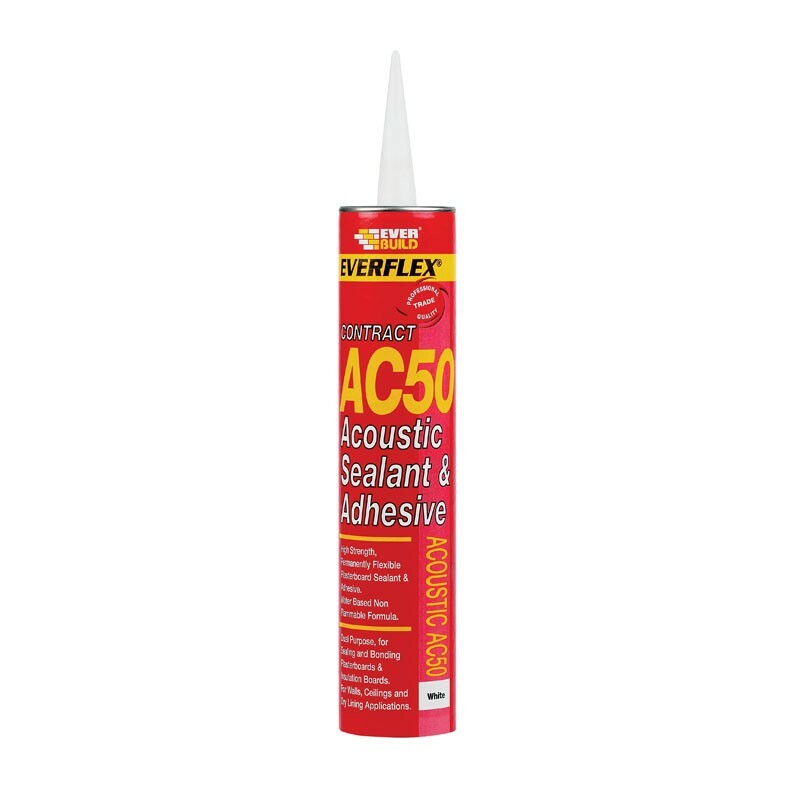 Everbuild AC50 Acoustic Sealant And Adhesive is a high strength, permanently flexible acoustic sealant and adhesive specifically formulated for sealing and bonding plasterboard and other kraft lined insulation boards to common substrates. 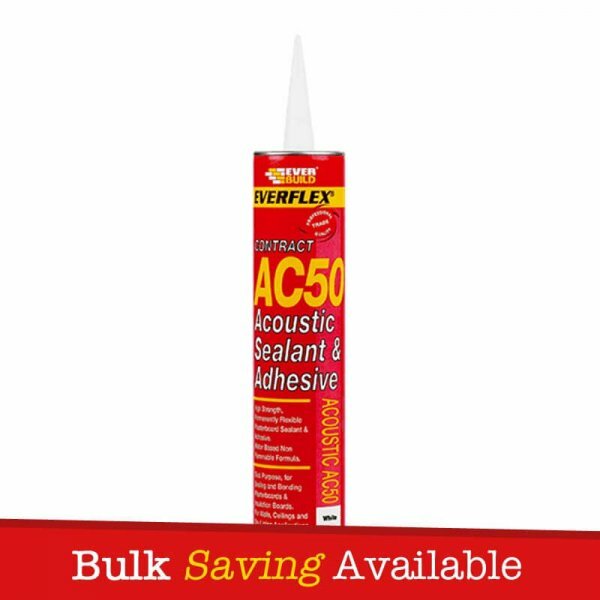 AC50 Acoustic Sealant & Adhesive is mould resistant and non flammable. 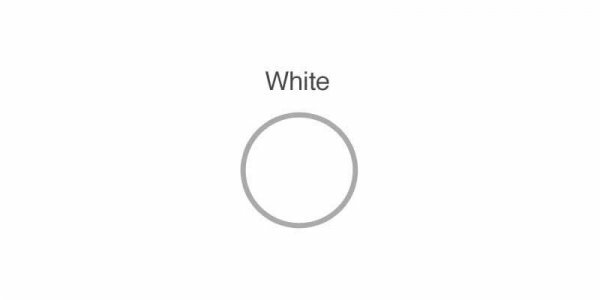 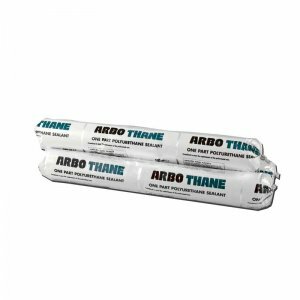 – To form an acoustic barrier by sealing gaps between plasterboard walls, floors and ceilings and in dry lining applications. 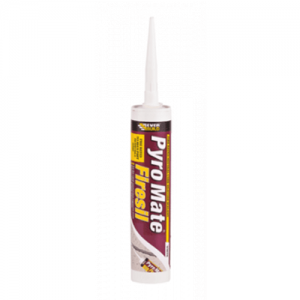 – As an adhesive to bond plasterboard to plasterboard, wood and metal studding and direct to blockwork. 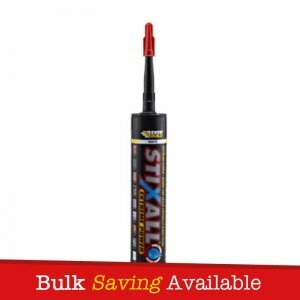 – For sealing and bonding most other Kraft lined insulation boards. 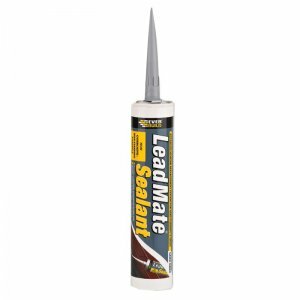 – Adheres to most surfaces.